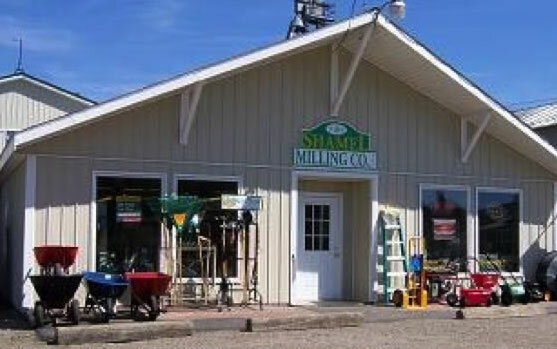 Shamel Milling offers a full line of Forage and Pasture Seed Mixes from Preferred and AgriCulver seed companies. We believe in providing our customers with quality seed mixes that perform in the Western New York climate and soils. Seed mixes listed below may be stocked in our warehouse during the appropriate planting seasons. It is recommended that you give us a call to place an order at least one week ahead of when you will need the seed. If what you are looking for is not on the list below or you need more information, give us a call 716-592-7700 and let us find what you’re looking for. SEEDING RATE ALONE / ACRE……….18 – 20 lbs. SEEDING RATE IN MIX / ACRE …………8 – 16 lbs. SEEDING RATE ALONE / ACRE…………18 – 20 lbs. SEEDING RATE IN MIX / ACRE……..8 – 16 lbs. “HQ” High Quality Selected for forage quality and feed value. Very High Yield Potential with outstanding pest resistance, including high resistance to Aphanomyces root rot Race 2 make this the preferred choice for tough soils. Proven ability to deliver higher quality with less risk of harvesting low-quality alfalfa when harvest is delayed. Dark green, fine stem, highly digestible, recovers very fast after cutting with impressive winter hardiness. Fall Dormancy 3.9. Seed at 18-20lbs per acre alone, 8-12lbs per acre in mixes. 7th generation potato leafhopper resistance is the best in the industry. HopperShield protection can deliver dramatic increases in yield and quality under severs Leafhopper pressure. Very high yield potential and superior digestibility. Very winter-hardy with outstanding disease resistance. Resistance to aphid and nematode pests. Fall Dormancy = 4. Seed at rate of 18-20lbs per acre alone or 8-12lbs per acre in mixes. “HQ” High Quality Selected for forage and feed value. Very High Yield Potential. Superior digestibility for more milk or beef. Very winter hardy, delivering long stand-life, even under the toughest conditions. Proven ability to “hold” high feed value in the field over a long period of time. Outstanding disease resistance and fast recovery after cutting. Highly palatable. Fall dormancy = 4.9. Seed at 18-20lbs per acre alone, 8-12lbs per acre in mixes. High yields, improved palatability and very low alkaloid content. Excellent for wetter ground with superior performance over current varieties. Will utilize repeated manure applications throughout the growing season. Apply seed at a rate of 12-15lbs per acre alone, 4-8lbs per acre in mixes. SEEDING RATE ALONE / ACRE………………14 lbs. SEEDING RATE IN MIX / ACRE……….2 – 10 lbs. – Seeding Rate (Alone/Acre): 10 – 20 lbs. Berseem Clover is used for forage and it can be green-chopped, grazed, or used for silage and by all measures its quality is excellent. It can also be used as green manure or for renovating old clover or alfalfa stands, and as a “break crop” in rotations, for disrupting weed and other pests’ life cycles. It is very tolerant of close mowing and can be mowed several times for forage and then ploughed under as green manure yielding approximately 30 to 60 pounds per acre of nitrogen. SEEDING RATE ALONE / ACRE……….8 – 12 lbs. SEEDING RATE IN MIX / ACRE……………..6 – 8 lbs. Red Clover is grown throughout the Northeastern states and eastern Canada for forage (hay, silage, pasture), as well as in rotation for soil improvement. It was first introduced into America about 1650, and was the most widely grown forage legume in the northeast prior to the 1900’s. Red clover is normally thought of as a short-lived perennial, not more than 2 harvest seasons in most of the northeast. However, newer varieties with better disease resistance along with proper management may persist for a third year. It is usually grown with timothy and produces 2 to 3 cuttings of hay or silage per year with most aggressive growth in the spring. Red clover will tolerate slightly acid soils, but grows best when the soil pH is above 6.0. An adequate fertility program based on soil test is essential for maximum forage production. Most red clovers grown in the northeast are of the early flowering types, known collectively as medium red clovers. Mammoth red clover, the late flowering type, generally produces one cutting per year plus an aftermath, and is seldom grown for forage. SEEDING RATE ALONE / ACRE………………6 – 8 lbs. SEEDING RATE IN MIX / ACRE…………………..2 lbs. Superior variety selected for stolen density and persistence under grazing and hay production. Penn State University and the University of Wisconsin participated in the selection and evaluation. Exhibits superior yield and persistence over “Alice”. At the University of Wisconsin. KOPU II yielded 22% better than CA Ladino and at Penn State it yielded 38% better under grazing. Seed at a rate of 5-8lbs per acre alone, 2lbs per acre in mixes. Ladino-type clover that is more vigorous and recovers faster than most other white clovers. Improved disease resistance. Characterized by large leaves; up to 3 inches in ideal conditions. In Michigan trials yielded over 26% more than the average of 12 white clover varieties. JUMBO will persist under grazing and hay production and on poor ground. Seed at a rate of 5-8lbs per acre alone, 2lbs per acre in mixes. Endophyte-free with good rust resistance. Produces large amounts of lush forage. High nutritional forage and good persistence. Excellent palatability and digestibility with heat and drought tolerance. Seed at a rate of 25-40lbs alone, 4-12lbs in mixes. SEEDING RATE ALONE / ACRE…….16 – 20 lbs. SEEDING RATE IN MIX / ACRE……………3 – 8 lbs. – Specifically formulated for the alpaca hay market. – Abundant yield from all Forage EXTRA varieties. – Produces high quality forage with rapid recovery for increased yields. – Adapted and recommended for high production areas. – Formulated for well drained soils and will also persist in variable drainage soils. – An economical mixture of grass and clover that can be used on heavy soils. – Can be used for hay, haylage or pasture. – Improved persistence and high yield where alfalfa is not suitable. – This mix contains all fine stemmed, leafy species of grass for extremely palatable forage. – PS 2000 Brand Timothy is one of the highest yielding varieties available. – Provides optimum nutrition for horses’ forage needs. – Recommended for variable drainage conditions. – Sunrise II Brand Timothy establishes throughout the field. – Nordic Birdsfoot Trefoil takes over as timothy and alfalfa thin out in wet areas. – Ideally suited for wet or variable soils. – Also produces quality forage on well-drained soils. High-quality hay mixture designed to produce on poorly-drained ground. Will tolerate lower pH and fertility better than most forages. Seed at a rate of 22lbs per acre. Ability to make a worn-out pasture or hay field produce like new again. Frost seed in late winter or no-till in early spring or fall. Great establishment, re-growth and digestibility. Can be cut every 25-30 days or grazed every 14-18 days. Seed at a rate of 30-40lbs per acre depending on application. – Crown Royal Orchard Grass (Coated) is also available. Please call us at 716-592-7700 for more information. SEEDING RATE IN MIX / ACRE…………….3 – 6 lbs. Medium-late maturity bred for forage production. Impressive dry matter yield potential increasing profit opportunity. Can be used for hay production as well as beef, dairy and other production livestock pastures. Seed at a rate of 15-18lbs alone, 4-6 lbs per acre in mixes. A unique Orchard Grass that has a very low crown and a dense, prostate growth habit. Soft, highly palatable leaves and will persist even when grazed to near ground level, making it ideal for sheep and horse grazing. When growers plant TEKAPO, they are amazed by its performance and density. Seed at a rate of 15-18lbs alone, 4-6lbs in mixes. – Designed with the correct nutrient balance to keep the herd healthy. – Palatable orchardgrass and durable festulolium create a perfect pasture. Blended to provide a pasture that will withstand the toughest conditions including drought, heat stress and heavy grazing. Also good for early winter, stockpiled grazing. Seed at a rate of 40lbs per acre. High sugar mixture formulated for sheep and goats. improved intake, digestibility and stocking rate potential. Good palatability. Seed at rate of 25 lbs. per acre. ***NEW!!! COMBINES ENDOPHYTE-FREE MEADOW BROMEGRASS, ORCHARD GRASS, SMOOTH BROMEGRASS, TIMOTHY, KENTUCKY BLUEGRASS, AND WHITE CLOVER. Supplies excellent nutritional value and creates a more stable footing environment. Combination of perennial forage species that horses naturally prefer. With proper management, your horse pasture can become a sustainable asset. ENDOPHYTE-FREE. Seed at a rate of 25lbs per acre. 1 bag = 1 acre. An excellent choice for starting a new pasture or renovating an existing one. 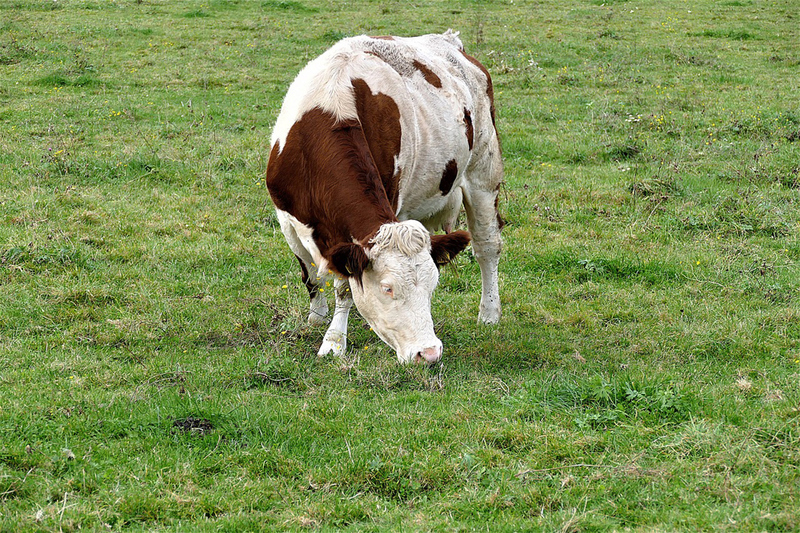 This mix can provide a very palatable pasture that will allow close grazing. Works well for dry hay OR Horse Pasture. Seed at a rate of 40lbs per acre. Provides both quality and performance. Blend of Timothy with a Forage Kentucky Bluegrass, standard for horse mixtures, along with Aubisque Ryegrass for a dense stand, quick growth and top feed value. Seed at a rate of 40lbs per acre. – Forage Kentucky Bluegrass is leafier, taller growing and more vigorous than bluegrass used on home lawns. – Nordic and Jumbo are the legumes frequently recommended for horse pastures. – Garibaldi Tetraploid Perennial Ryegrass and Sunrise II Brand Timothy produce a lush spring and fall pasture. ***NEW!!! A special blend of highly palatable forage grasses and clover that establish quickly with vigorous growth, improving pasture quality and yield. It is an excellent choice for frost seeding, over-seeding, or no-tilling into an existing pasture. The premier mix designed for over-seeding or frost seeding or frost seeding an existing pasture or meadow. Improves quality and yield of existing stands. Well suited for livestock and horses. Can be seeded straight for new stand establishment. Seed at half rate in two directions when broadcasting for best results. Seeding rate is 15 to 35lbs per acre.